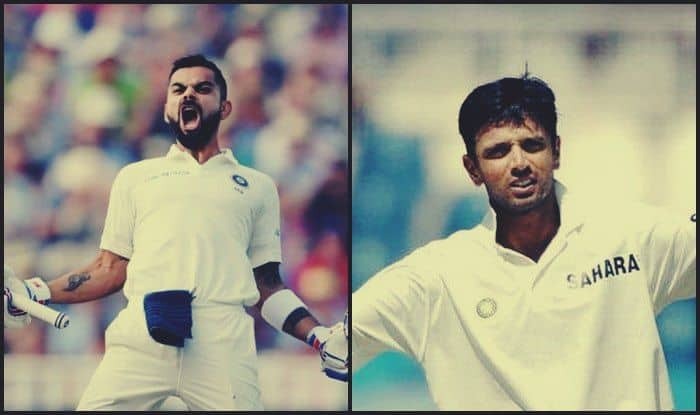 Australia vs India 3rd Test Melbourne: India captain Virat Kohli is 82 runs away from surpassing Rahul Dravid to become the highest Indian run-getter overseas in a calendar year. Australia vs India 3rd Test Melbourne: India captain Virat Kohli is 82 runs away from surpassing Rahul Dravid to become the highest Indian run-getter overseas in a calendar year. Dravid had gone past Mohinder Amarnath’s 1065 in 1983 in 2002 and now 16 years later Kohli stands a chance to breach that feat. Kohli has already slammed his 26th Test ton in the Perth Test where his century went in vain as India lost by 141 runs and squandered away the 1-0 lead India took by beating Australia by 31 runs at Adelaide. India’s fortunes will bank heavily on Kohli as he is one of the few Indian batsmen who has got among the runs in Australia and is also coming to the Test series as the No 1 batsman in ODI, Test cricket. Earlier in the year, he became the fastest to breach the 10,000-run mark and also became the only Indian to register three consecutive centuries in ODI cricket. On the contrary, if India repeats a Perth at Melbourne Virat Kohli’s India could overhaul an unwanted 35-year-old Test record for India. The defeat on MCG will be India’s eighth in 2018 – two against the Proteas, four against England and one in Australia – and that will mean the nation will overhaul its most Test losses in a calendar year – surpassing the record set in 1959 and 1983. Sunil Gavaskar was the Indian Test captain in 1983, whereas Kapil Dev was the captain in the limited overs cricket.